At my North Dakota ranch, I’ve done many things I never expected to do, and ended up applying them on my career path as an entrepreneur. From putting up miles and miles of fence to keep the cows in their pastures to pulling calves when cows are in trouble and can’t birth naturally, my deep appreciation for ranch work has triggered many unique insights that have guided my leadership style. My neighbor and friend who ranches five miles away from me, Dave Bauman is an invaluable source of help to me and my cattle. He’s also a horse expert. Over the years, he’s developed and taught me some gentle techniques for “breaking” horses, many inspired by the work of John Lyons. Lyons is a renowned American horse trainer who has made great strides in the field of natural horsemanship. In other words, instead of exerting force to break a horse, Lyons’ horse-training technique relies on developing a rapport with each horse and rejecting negative reinforcement. Today I’m going to take the liberty of sharing some excerpts from a John Lyons special report. When I read through his beautiful horse-based wisdom, I immediately saw a correlation between Lyons’ advice and the business world. It reminded me of everything I’ve learned about the importance of kindness and mutual respect when it comes to leading your employees. 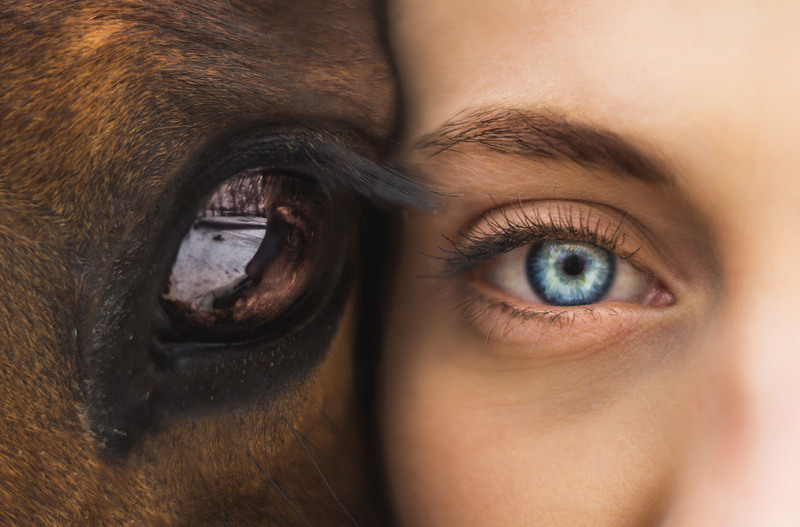 While reading this, you should notice that at any time you can swap the word “horse” for employee, associate or colleague, and “trainer” for leader. Lyons was talking about horses, but it’s a perfect parallel for business. Anything that’s not a win-win is a win-loss, and not a foundation for positive internal and external relationships. The most satisfying and successful relationships are based on mutual respect, trust and confidence. The steps each party takes—whether leader or employee—to achieve this mutually satisfying relationship should feel natural and unforced. As a leader, once you have identified and set goals for your company, it is your responsibility to set the expectation that colleagues will either possess or acquire the skills to achieve those goals. A strong leader will be part of the learning process much in the same way that a trainer and horse learn to ride together. The communication and dynamic between them will determine how quickly they succeed in developing the respect, trust and confidence necessary for the skills you want to teach. “Dangerous message: Forcing a horse to do something will show him who’s boss. Safer message: Forcing a horse to do something may create more unwanted behavior than desirable behavior and endangers both the horse and trainer. We care about our horse doing specific movements, like moving his shoulder away from us, stepping away from us, or moving forward when we ask him to, but he does that because he’s been trained to respond to a cue, not because he sees anyone as the boss. It’s no different at work. When you feel mistreated, you don’t focus on company needs. You start brushing up your resume. As leaders, we don’t want to force our employees to seek a new job by putting them in a corner with no way to move or grow professionally. It’s as simple as that! “Dangerous message: If a horse follows you, you have control of him. Now, your clients and colleagues might not be likely to panic and kick you in the face. But it’s nonetheless unwise to assume you can control those parties because they need your service, product or paycheck. It’s incumbent upon leaders to create an environment where colleagues and clients want to follow your lead and work with your company. Your reputation, brand and culture will attract the exact type of partners who share your values. A forced relationship or contract is surely a short one. When it comes to relationships between people and animals, it’s clear they are as much about communication as they are about love. Luckily, most businesses are comprised of humans, which affords us both the advantage and challenge of using language. If people and animals can communicate in a positive way, there is no excuse for a human’s failure to work with his fellow homo sapiens. We owe it to the inspiring people we work with and depend on each day.